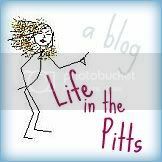 Life in the Pitts: Adjusting to this whole marriage thing. Eek, I hope my husband doesn't equate bed-making to love... or divorce would be forthcoming! I don't believe in listening to my voice mail. I firmly believe that if somebody needs to get ahold of me, they should text message, email, or Facebook me. I'm always reminding family when they call me (my mom especially) that I NEVER check my voicemail so don't even bother. Text me instead! Blerg! im so glad im not the only one that doesnt even care about vm! email me-i actually check that! I NEVAH listen to my voicemails. Ok, once in a blue moon I do. Never is such a strong word. I figure if it's important the person will call back or text me. LOL I confess I am even horrible a checking my WORK voicemail! I have to MAKE myself, sometimes days AFTER I see the little red light on my phone. I don't like checking voicemails very much either. However I don't despise it :-) The little voicemail icon on my phone bugs me, that's the real reason I check them.